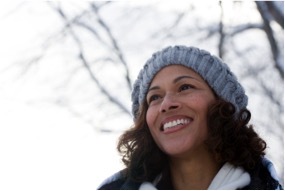 We know that happiness comes from within, but sometimes a cosmetic treatment is just the thing to perk up a lagging mood, particularly in the dreary winter months. If you’re feeling a bit low, from short days and a lack of sunlight, we’d like to suggest a session with our experts for an injectable treatment. Botox® and dermal fillers can take years off your appearance, smoothing wrinkles, replenishing volume, and revealing a revitalized you with minimal to no downtime. Despite scary wive’s tales of being “frozen” and expressionless, an expert session with Botox at our medspa will relax the muscles in your targeted areas like the forehead or crow’s feet, so you look naturally refreshed and radiant. It can take 3 to 7 days for optimal results to appear. No one will be able to tell you’ve had this treatment, but they will notice that you look more refreshed than usual and wonder what your secret is! For immediate age-defying benefits, nothing compares to a session with the dermal filler Juvéderm. One treatment with our expert injectors can replenish volume, smooth wrinkles, and reveal a younger-looking you with minimal to no downtime. Juvéderm is ideal for smoothing nasolabial folds (those lines that run from the sides of the nose to the mouth), smile lines, and lip enhancement. Botox and Juvéderm go great together, and you can undergo both treatments in one efficient appointment. Ready to inject some brightness into your winter? For more information on Botox and Juvéderm, call 757.663.5461 or click here to request a consultation today.